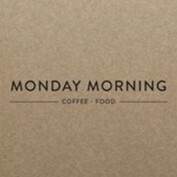 The Monday Morning Cafe joined our Mission to help provide access to “Clean Water for All by 2030”. This Mission was initiated by the United Nations. A big thank you to The Monday Morning Cafe’s team and customers for joining this extremely important mission on 28 April 2018. "The coffee taste is unique, the food is amazing, and the equipments for kids is enough to have fun all through your visit. Above all, the staff are super friendly, you feel you're visiting your friend's house."